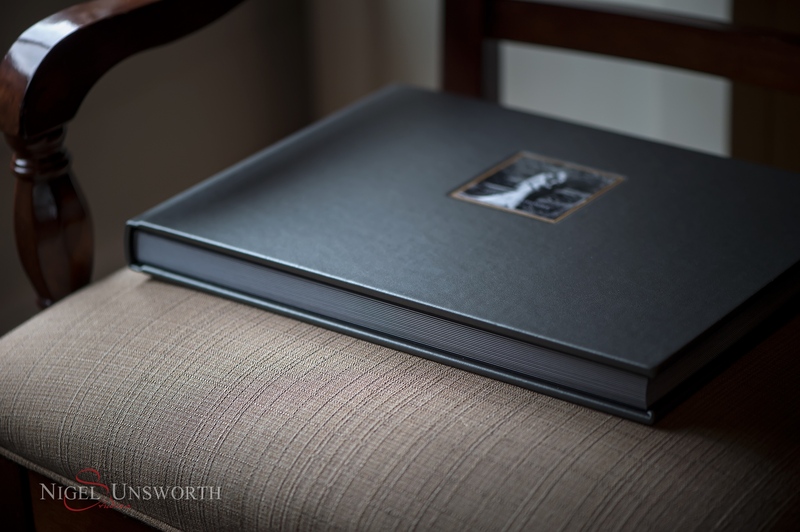 This Queensberry Panorama Flushmount Album has the pages creased at the spine, not cut. 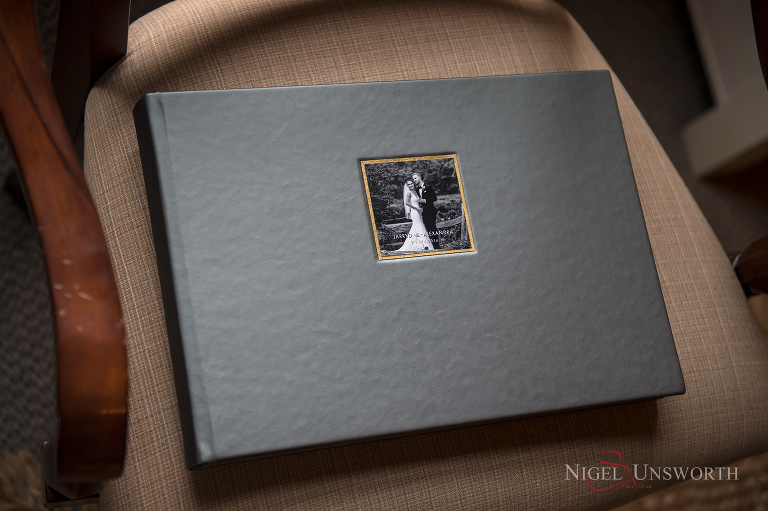 My new display album arrived at the studio and is 14″ x 10″ Metallic Steel Faux Leather with a photo motif. 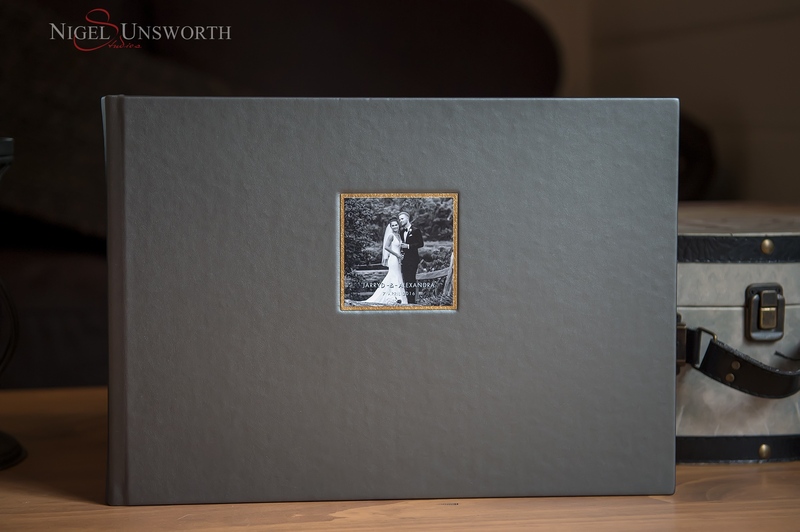 Queensberry offers two styles of un-matted Flushmount album, Panorama, and Classic. 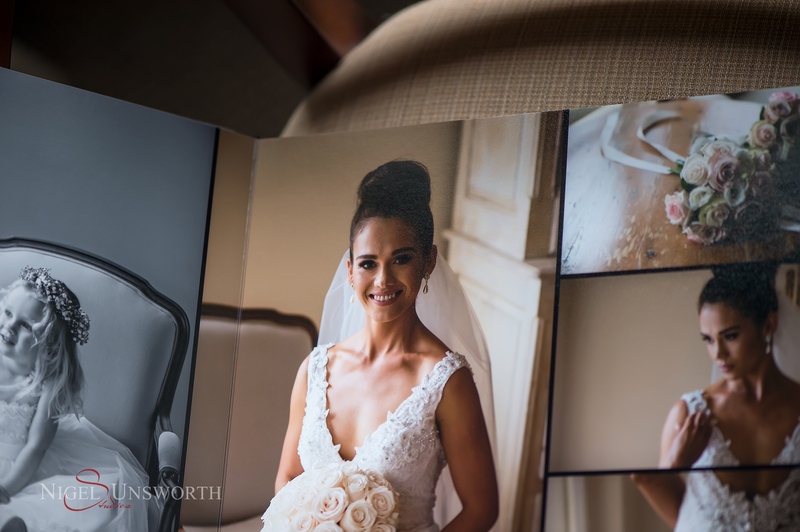 Panorama Flushmounts are available with heavy- or medium-weight pages. 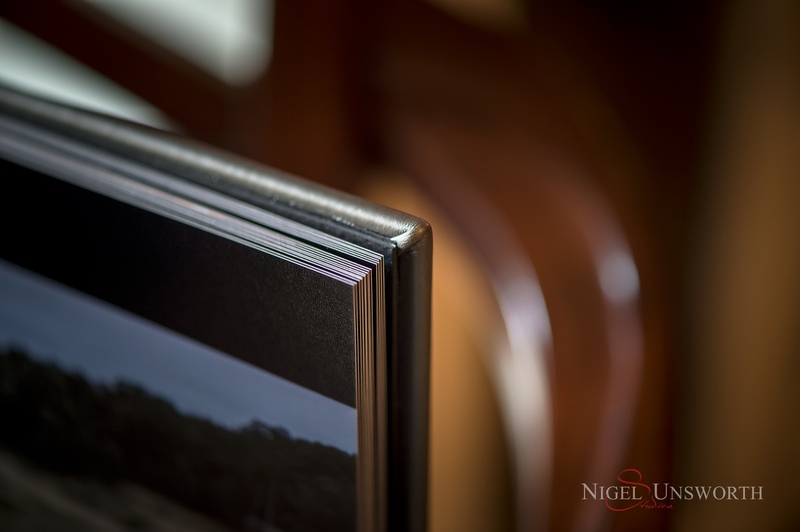 The prints are creased, not cut, at the spine. 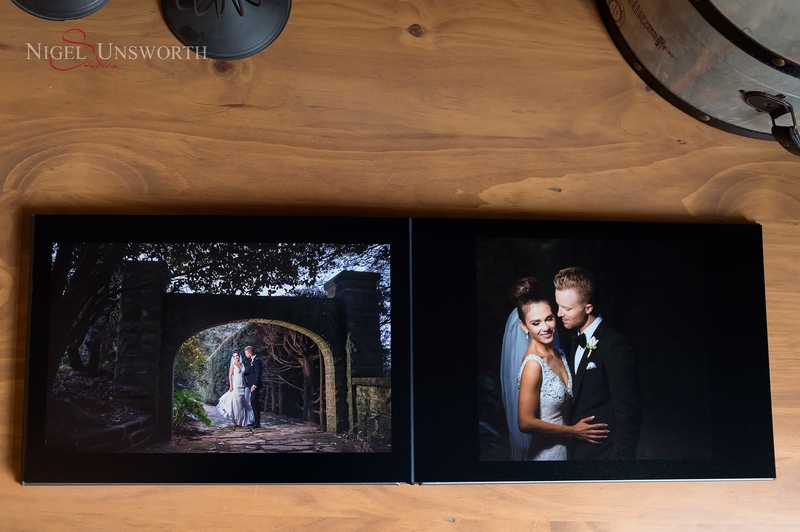 Traditional photographic (silver-halide) printing is normal, in which case medium-weight pages offer more capacity, up to 45 pages (90 sides) as against 30 heavy-weight pages (60 sides). 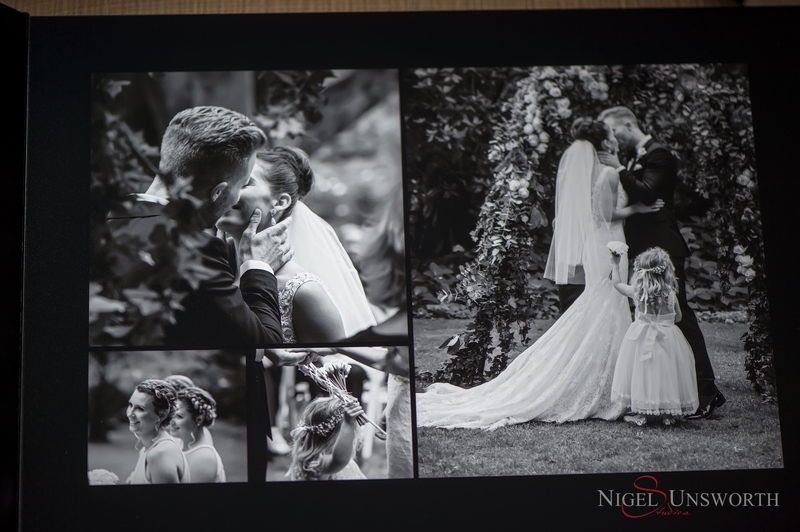 Fine Art inkjet printing is also available, but with medium-weight pages only, and a maximum of 30 pages (60 sides). 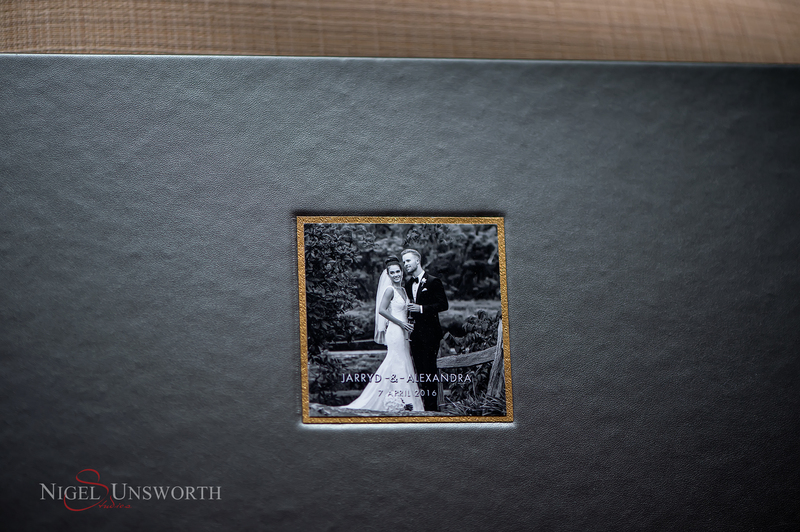 In Classic Flush albums the prints are cut, not creased, at the spine. 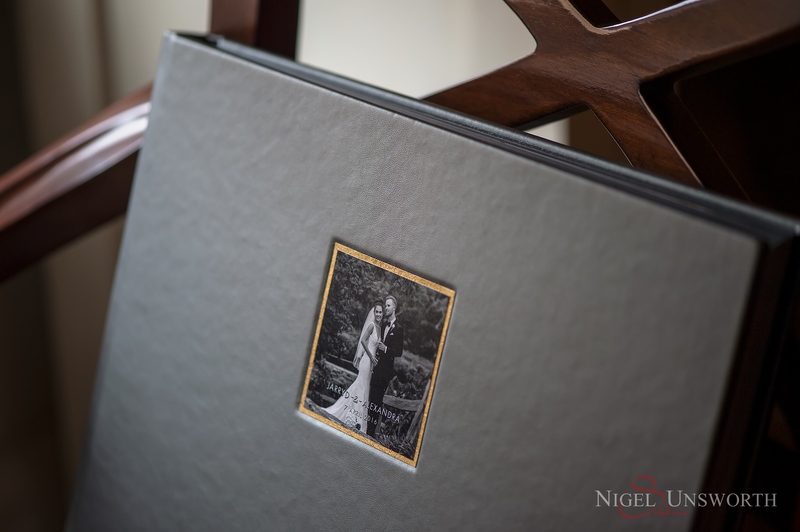 This allows Queensberry to offer our popular offset-printed art pages for a beautiful textured watercolour look. Read more about Queensberry’s offset paper stocks here. 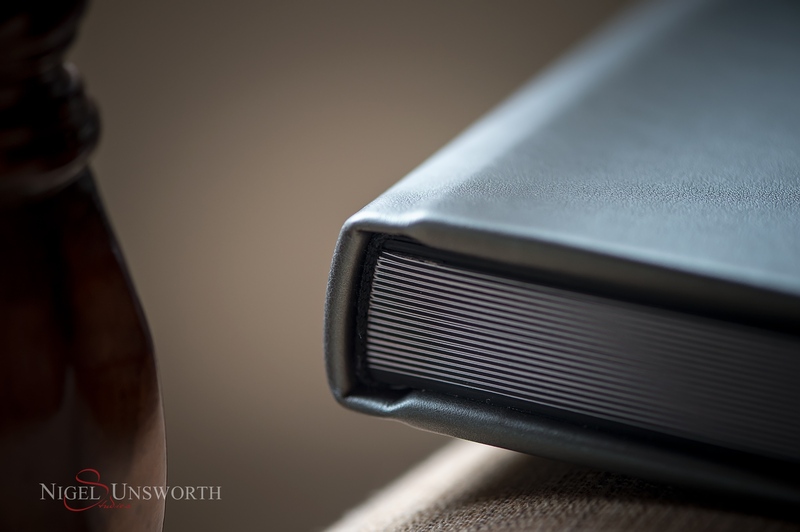 Classic pages are heavy-weight only. 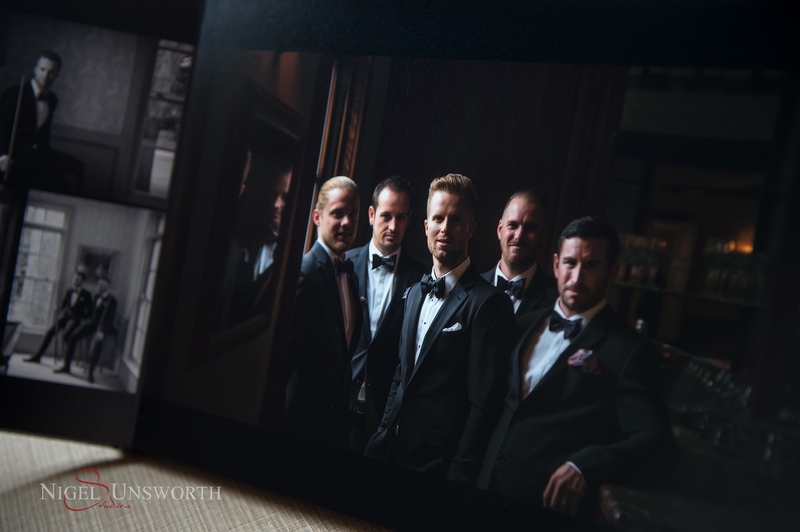 Silver halide printing is also available, but not Fine Art. 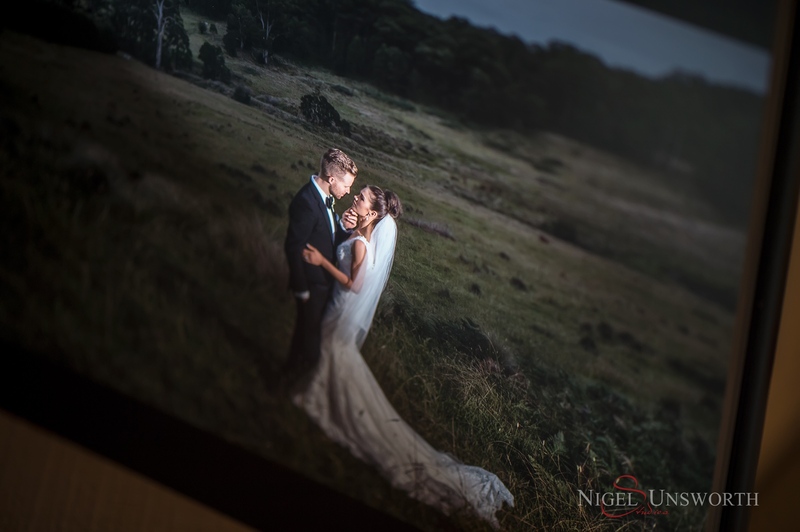 This wedding was photographed at Milton Park Country House near Bowral with an amazing couple from Melbourne. 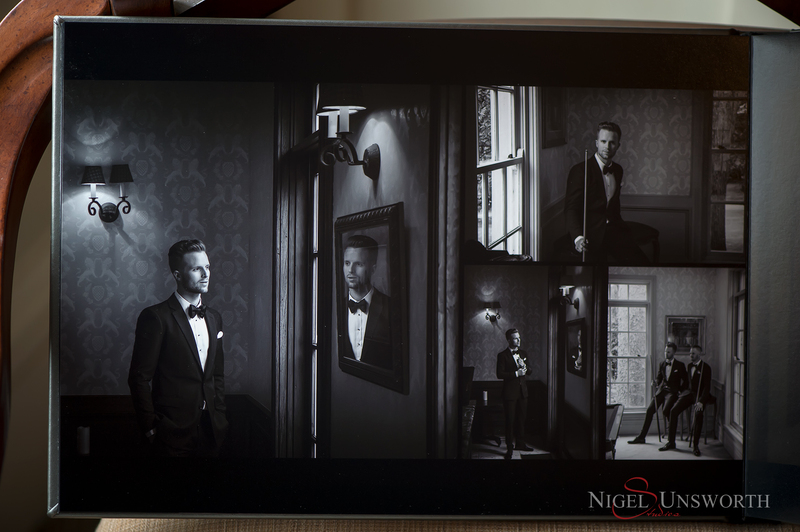 More album examples from my clients can be found here.